Results from laboratory tests play an important role in diagnosing, monitoring and screening for diseases and medical conditions. 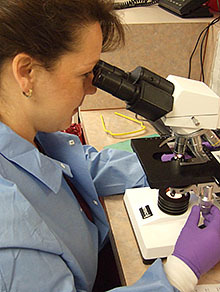 Hawthorn Medical’s main Laboratory, located at 531 Faunce Road in Dartmouth, provides a full range of testing services. With a state-of-the-art laboratory information system, all tests results are provided online on a secured site. This computer system, along with the latest testing equipment, dramatically improves efficiency so that our physicians have quick access to test results.